Diamond K Sales offers steel structures from VersaTube Building Systems. They provide the ideal outdoor protection for your vehicles, tools & equipment, feed & livestock, or other possessions requiring a durable storage solution. Backed by engineering, VersaTube products combine the strength of steel with patented "Slip-Fit" connections designed to simplify assembly and reduce construction time. VersaTube buildings are available through a nationwide network of independent dealers and home center retailers. VersaTube - America's choice for garages, carports and equine structures. By choosing Premier Steel Structures, you are getting the professional installation that you need and can trust. Check out this steel system alternative for sheltering your horses. VersaTube's unique framing design reduces construction time and is flexible enough to grow with your herd. Need a livestock shelter that is resistant to fire, termites and rot - and can be put up quickly? VersaTube sheds are easy to haul and easy to install. VersaTube carports, shelters and RV covers can be installed quickly, covering everything from a compact car to a large motor home to a walkway. VersaTube building kits can be purchased complete with painted steel roofing, sidewalls and trim. Or choose the frame only and customize the exterior to your preferences. 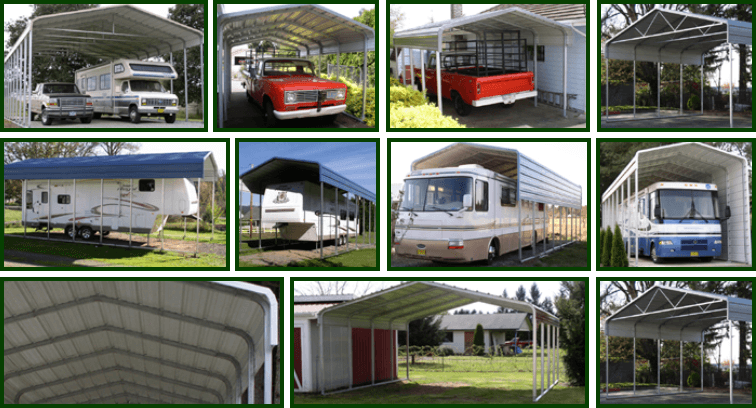 Check out this steel system alternative for covering your RV. VersaTube's unique framing design reduces construction time and is flexible enough to cover any size of RV. VersaTube carports, shelters and RV covers can be installed quickly, giving safe, secure storage for vehicles and accessories. VersaTube extra wide shelters and covers can be installed quickly with lots of room to spare.